Lynnfield leftfielder Dan Dorman charges in on a short fly ball in last Thursday’s championship game. Lynnfield reliever Jarret Scoppettoulo prepares to unleash a pitch in last Thursday’s District 16 championship loss to Peabody West. Lynnfield catcher Nick Hubbard reaches forward to receive the incoming throw as Peabody West’s Ty Zito slides for home. 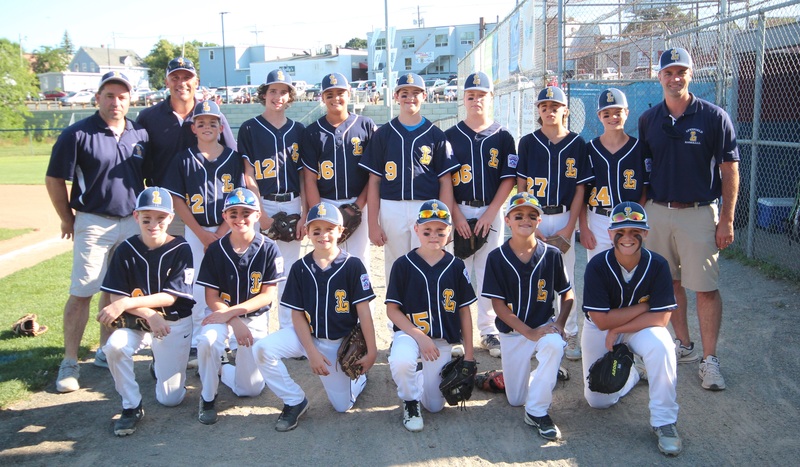 The Peabody West Little League All-Stars proved to be too formidable and finished off an impressive District playoff run with a convincing 17-2 victory over Lynnfield to capture the District 16 crown last Thursday evening at Reinfuss Field in Lynn. Peabody had defeated Lynnfield in similar fashion in the first game (teams square off in a best-of-three series to decide the championship). Lynnfield had earned its way to the title round by defeating Salem in a loser’s bracket clash. As evidence of its tournament dominance, Peabody outscored the opposition by an enormous 63-6 margin in its five tourney contests, including a combined 33-4 advantage in its two victories over Lynnfield. Last Thursday’s clincher was cut short in the third inning when Peabody increased its lead to 15 runs, thus ending the game due to the mercy rule. Lynnfield loaded the bases in the top of the first inning but could not score off Peabody West starter Jayce Dooley. Lynnfield’s Nick Groussis was thrown out at third base trying to advance on a wild pitch, which hurt the threat. Peabody took advantage by collecting 10 runs in its half of the inning and building an insurmountable 10-0 lead after the first. Peabody West sent 14 batters to the plate in the first for its 10 runs, then added three in the second frame and four in the third to bring the proceedings to a close. Thomas Fabbo led Peabody with three hits and four RBIs while Andy Bousquet contributed three hits and two RBIs. Also getting in the mix were Jacob Behn with two knocks and two runs driven in and Nick Villano, Josh Scali, A.J. Forte, and Ty Zito with two hits each. Peabody collected 19 hits in all. On the other side, Lynnfield had runners on base against Dooley, who managed to work his way through three innings and some jams to get the win. 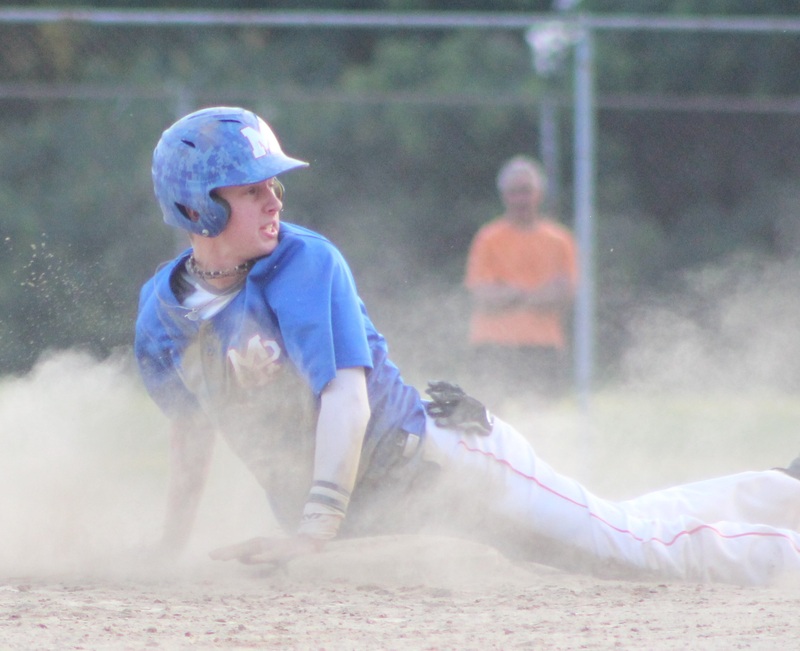 Lynnfield scored twice in the second inning, as Dooley walked in a run and Anthony Grabau singled home the second and final tally. Lefty Nate Lopez started the game for Lynnfield before Jarret Scoppettoulo relieved him. Both pitchers were hit hard.